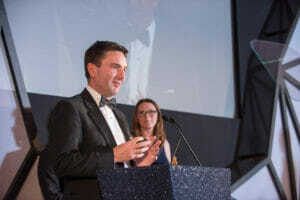 Energy technology company Extreme Low Energy (ELe) has won a major prize at this year’s Energy Institute Awards. The firm, which recently moved to new headquarters in Lancashire, was presented with the 2017 Energy Institute Innovation Award by England Rugby Union World Cup winner Matt Dawson MBE at a ceremony in London. 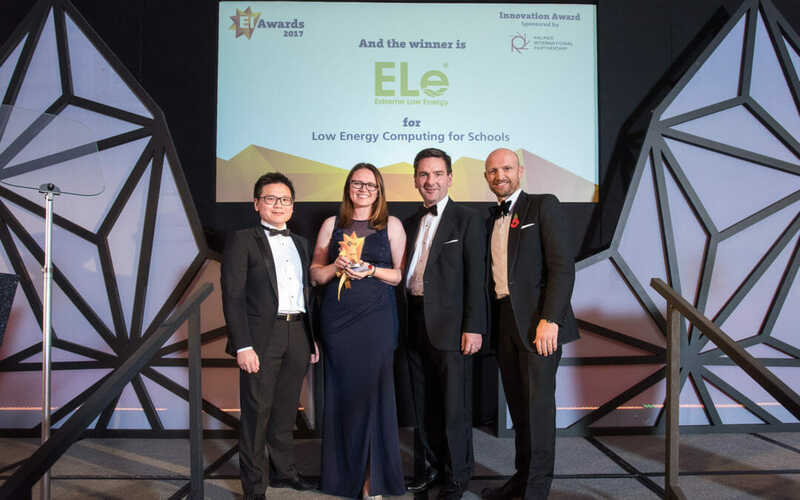 Its project to install revolutionary low-energy PCs at two Merseyside schools was hailed by the Energy Institute’s judges as this year’s most innovative, beating competition from both UK and overseas companies. “We’re delighted and proud to have received this significant award for innovation and recognition from the Energy Institute, having beaten strong competition from the UK, Canada and the Middle East. “Our project related to reducing energy consumption for ICT in schools, delivering a simplified, more manageable, ICT suite and offering new learning and teaching opportunities alongside a richer digital experience. This latest recognition follows previous award wins for ELe in the GREAT Faces of British Business Competition, Merseyside Innovation Awards and Liverpool Echo Green Champions Awards. The project saw ELe and its partner Hi-Impact work to install a DC infrastructure and overhaul the existing computer systems within two primary schools in Wirral on Merseyside significantly reducing their energy usage and carbon footprints. In order to win, ELe had to present an innovation showing a major advance or development with strong, cost-effective or cost-saving prospects, plus a clear demonstration of its benefits over existing methods. ELe’s DC micro-grid systems for schools typically run on 70% less energy than existing technologies and, when combined with the firm’s patented battery systems, the combined solution allows for the most efficient adoption of alternative energy solutions, eliminating the need for mains electricity and allowing customers to operate either partially or fully off-grid. For further information, please contact Paul Baker or Richard Clein on 0151 304 7017.